Hi guys, and Travancore especially to you. How better to celebrate our festival of colours-Holi, than with some pics of this elusive Ghost (pun intended ). Thanks so much. Unfortunately have not been able to find a picture of the car when it was originally with Rudyard Kipling (which is surprising)! Last edited by travancore : 10th March 2012 at 00:23. A very good effort, Prithvi. I am aware of two more temple cars, both have been retired from religious duties. One is a Wolseley Siddley which was a temple car in Lucknow with a family, everything above the steering level was chopped, no windscreen, rear body, etc. The car used to be pushed around. Then picked up by a dealer, restored by barwani and now with Doc. The car is of around 1910. Chances are that the car would not have survived if she was not a temple car. 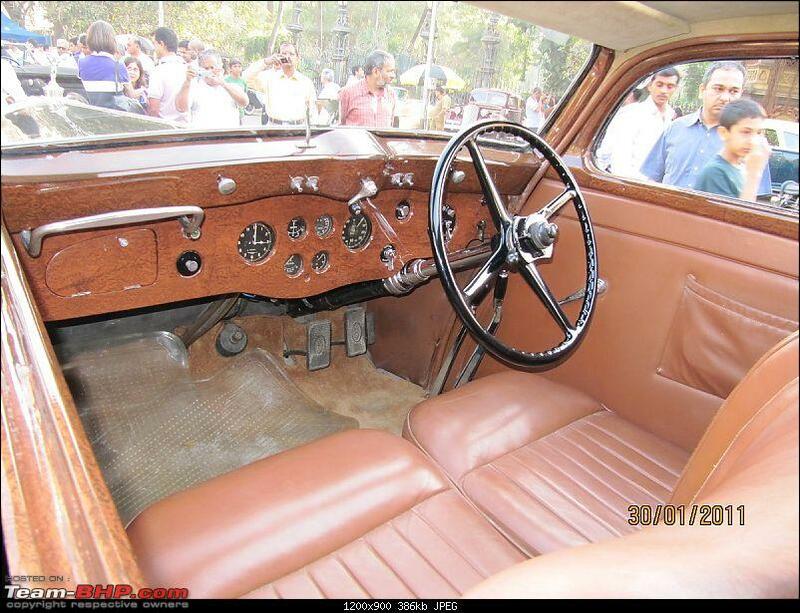 The other is a 1928 Citroen, belongs to t-bhpian in Chennai, was pushed into a godown of a temple and forgotton. Now needs a massive restoration. Also, one differenciates temple cars, those which were hacked to create a platform for the deity, and those which belonged to a temple trust and were unmolested. Here we are talking about hacked cars. Why is Amol surprised that Kolkata has no more Ghosts left? The cars have been taken out, some of the biggest dealers trading in these cars were from Kolkata, I dare say that the cars left in Kolkata are a fraction of what once was being driven over there. Another fact which hardly anyone noticed is that the Maharaja of Burdwan had one of the best tastes among Maharajas as far as automobiles were concerned. Last edited by harit : 12th March 2012 at 13:37. I believe that this car started as a Hooper Limo or sedan. Owner is supposed to be a certain Mr. Bxxxx, supposed to be based in Delhi. He is now leading a retired life in calcutta I believe, His son is still selling the most exclusive cars in the country. I usually like to dig deep and gather any information on any unique car. I remember there was a write up somewhere and after much digging on the various titles I hold of the marque Rolls Royce. 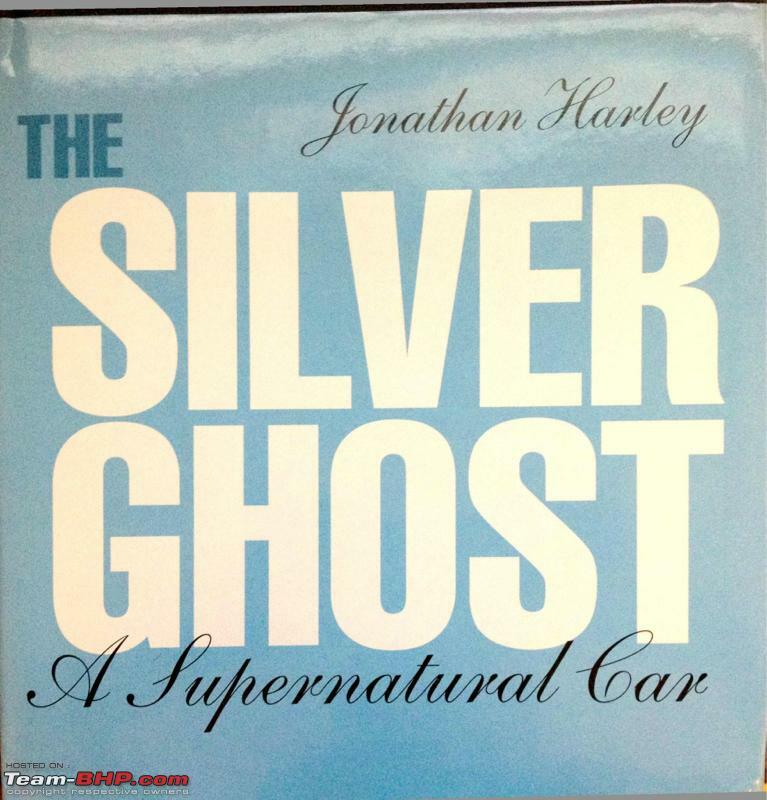 On a Last attempt to find the details I managed to dig the write up from a book on the Silver Ghost by Jonathan Harley and putting some scanned images of the write up on this car for everyone to read. Last edited by kasli : 25th March 2012 at 23:12. 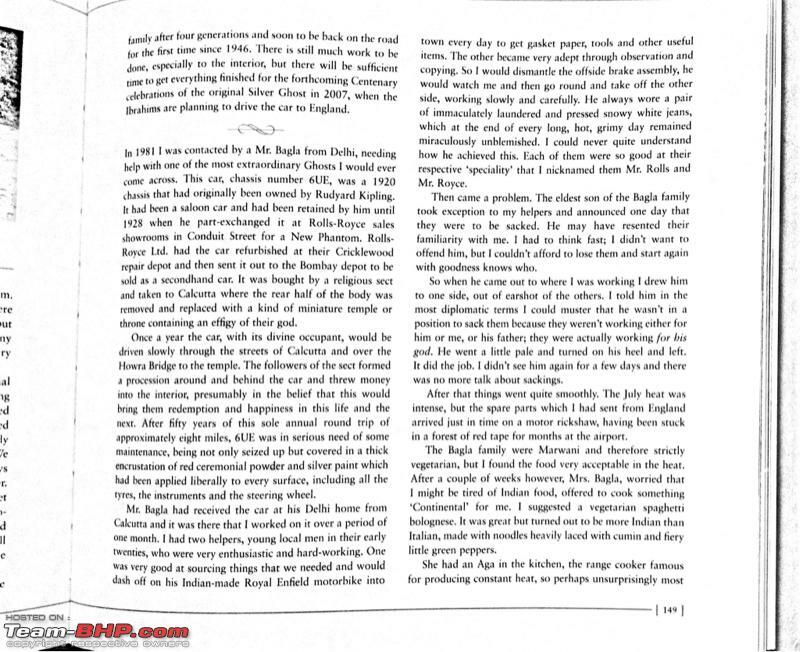 Kasli, this find is truly great and thanks so much for sharing, it really makes interesting reading. Now that I've read this, I'm thinking, was the car's body changed from saloon to tourer by RR in the UK or was it done locally after it came to India when they actually installed the throne for the deity? The car still takes the same route as mentioned in the book, over the Howrah bridge and ultimately to the temple which is a 5 min. drive from my home. I haven't actually seen the car running on its own steam coz it arrives and departs early in the morning, but I think that it does still run on its own power. As mentioned the car was exchanged or a buy back as todays term for a RR Phantom 1 by kipling . The body seems to have been removed or altered here. I think a restoration back to the same body style here would be difficult as Religion and faith are the strongest tools in Indian Democracy so tampering with gods chariot a big taboo. The body being the same will remain and in a way its good as it will keep the car intact in this body style and un molested further than what it is. I would only suggest that they invest into a good mechanical work to see if the car is healthy un less already done which neither you or me know. Last edited by kasli : 27th March 2012 at 14:05. I think a restoration back to the same body style here would be difficult as Religion and faith are the strongest tools in Indian Democracy so tampering with gods chariot a big taboo. I did not mean that the body should be altered to what it had originally. Since I've seen the car at close quarters over the years, it really does need a lot of TLC but the body should remain as it is, looks good as a tourer. I'd only want them to re-paint the body silver with a spray gun rather than a paint brush, buff the brightwork (some of which are also coated with silver paint), clean the interiors and maintain the car much better, it would make me happy. After all it is a car for a special purpose and in my opinion, the condition should befit the purpose. Just read up a bit about Rudyard, and the Rolls. He was born in India, but left very early, car was bought and part exchanged in UK. The used car was refurbished and sent to India to be sold as a second hand car. Now just who chopped the car is not clear, whether RR did that in UK before sending to India, or the buyer did it for the temple and deity. But if you see the windshield, that is meant for a tourer. Perhaps a modified car with tourer body was sent, and then the rear was modified locally to fit the platform. 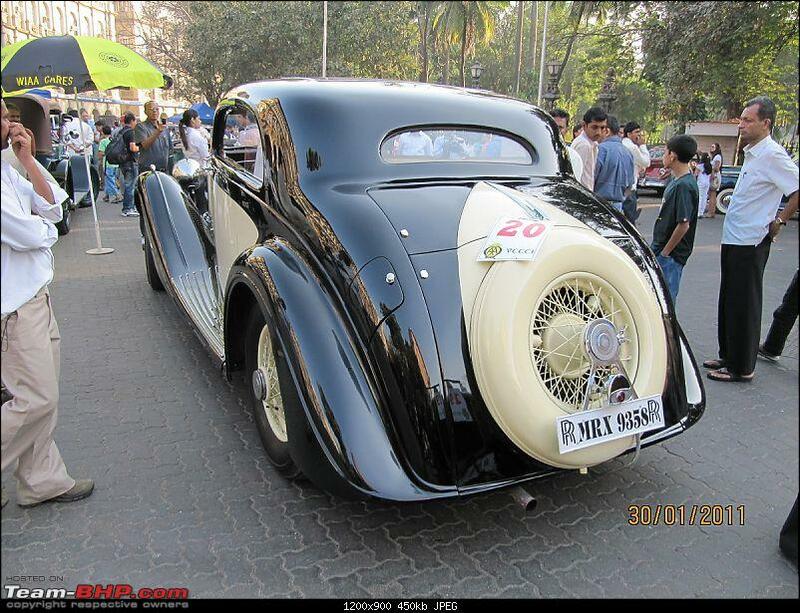 IMHO, the car should not be modified, it should be spruced up and original parts fitted, headlights are an eye sore. Now with many capable restorers around, hopefully this will happen in the future. Last edited by harit : 27th March 2012 at 16:18. I am a new member and this is my first post, so I hope not to ask for things that are too boring for you. Having learned driving in a family 20HP, this is the thread that most appeals to me. 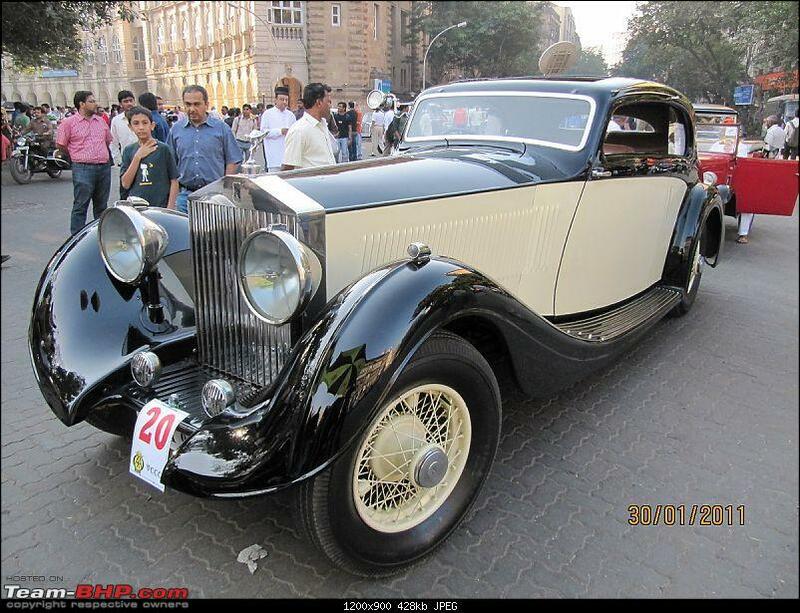 I have moved to Bombay from Rome a few months ago and have already "bumped" into two vintage Royces. "Daniel, last Duke of Mazovia, born in the shade of the Coliseum, run over by a Phantom in India." To cut a long story short: Is the owner of this car a local Mumbaikar and on this Forum? I have to compliment him on the USE of such a car, not just a museum exhibit, clearly. Secondly, next to my place of work in Lower Parel, there is a building called Brady Gladys Plaza, which hosts one/two Royces in its car park. One of them a 1990ies "modern one" but behind it there seems to be a 1930ies car. Anyone knows them? I will try to get access to the premises to ask in person if I can see them. Welcome aboard, glad to have you here. 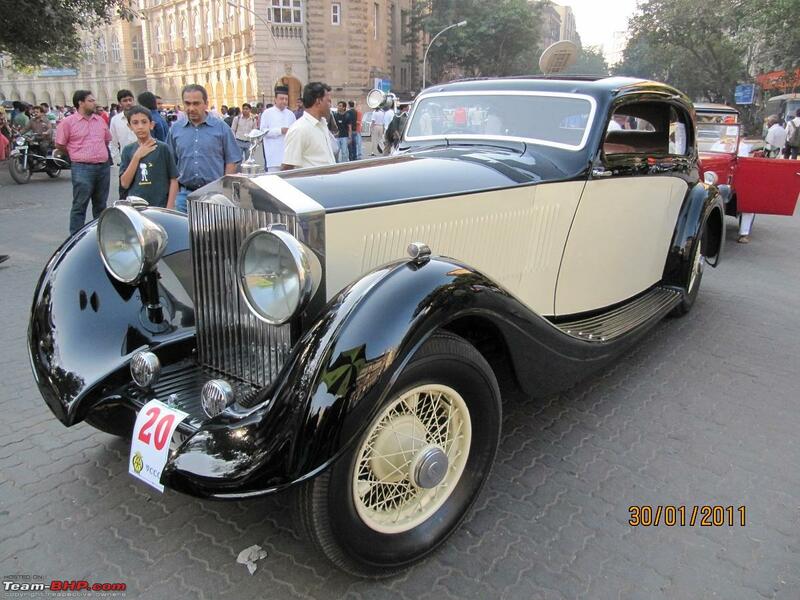 The gorgeous P2 Continental has been with the Jetha family for decades, and I believe was originally ordered by the Maharaja of Jodhpur. It is #62UK. In fine fettle and in regular use, the imposing car made it to he hillstation of Mahabaleshwar for a run just last month. The car at Brady Gladys car dates to 1981, and gives company to a bunch of VWs, and I think a Sunbeam or Singer of the 1930s. Thank you, I see that like in my home city, collectors have no secrets! I will try to peak into the courtyard of the Brady Gladys building, mainly for the Singer. As for the Phantom belonging to Mr. Jetha: may I say that I am ENVIOUS? Not the most politically correct of feelings, but I still am, he he. I have a Citroen Traction which has the same colour combination, but that's as far as their resemblance goes. If I ever bring the car to Bombay, I shall park her next to the P2 and we can take the "poor relatives from abroad" picture! Hope to see the "real thing" while here in India. 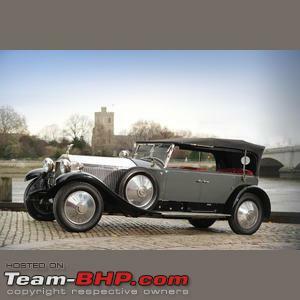 The 1927 Rolls-Royce Phantom I Tourer had coachwork by Hooper, chassis no. 57EF. "Many Rolls-Royce Phantoms were despatched to the farthest corners of the British Empire and it comes as no surprise to learn that this particular example was supplied new to an Indian prince, the Maharaja of Pithapuram, who ordered it via Rolls-Royce Ltd of Bombay. The fabulously wealthy rajas and maharajas of India commissioned some of the most extravagantly equipped automobiles of their day, this magnificent Rolls-Royce Phantom being a prime example. Chassis number '57EF' was despatched on 12th April 1927 to Hooper & Co, London-based carriage makers to Queen Victoria and King Edward VII and arguably the finest of all British coachbuilders. Hooper bodied the car as an elegant, well-proportioned open tourer finished in 'Parso-Glaze' paint, while exterior fittings included a raked, four-piece windscreen; louvered bonnet; domed wings; twin side-mounted spare wheels; 'nautical' scuttle vents; Stephen Grebel headlights and matching spotlight; and rear luggage rack. Of particular note are the side screens, which may be lowered into the doors when not required. Further protection is provided by a full-length hood. 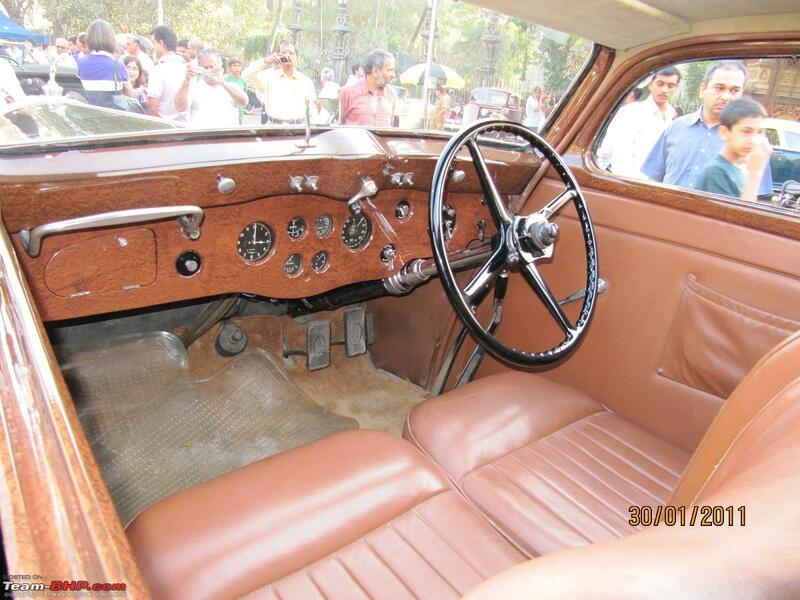 As is the case with most maharaja cars, it is the interior details that fascinate. Ahead of the driver is an aluminium dashboard, complete with silver-faced instruments, and an ivory-coloured steering wheel, while other noteworthy features include pleated rather than buttoned upholstery, a drinks cabinet, occasional rear seats and a card case. Rather more unusually, the original order also specified 'a receptacle for revolver between front seat cushions and flap to cover' but then the late 1920s were turbulent times in India. How long the Maharajah kept the Phantom is not known but like many 'Indian' Rolls-Royces the car subsequently made its way to the USA, from where it was repatriated in 1989 by the renowned Rolls-Royce connoisseur, Charles Howard. The car was registered 'DS 8933' in the UK on 25th April 1991. It would appear that an extensive restoration was then undertaken as '57EF' was described as 'recently extensively restored both mechanically and cosmetically' when shown at the Pebble Beach World Classic Auto Exposition in 1993. Another notable owner is Thomas Barrett III of Scotsdale, Arizona, who sold the car in January 1996. The Phantom has recently been re-imported to the UK and is resplendent in the same Carlton Grey livery and red leather interior seen at Pebble Beach in '93."